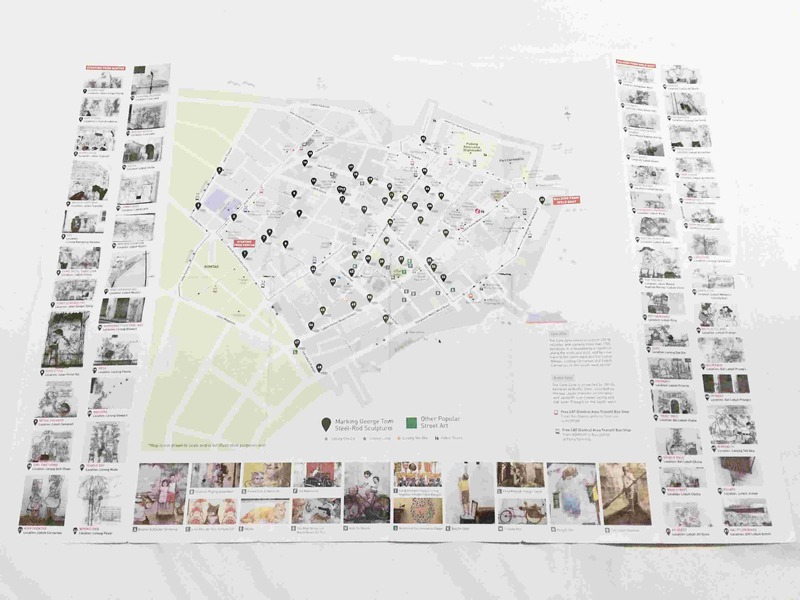 Because renting a WiFi device is more expensive than my kidney, I had to do a Magellan type of exploration in which I used a printed map to see the street art in George Town, Penang. The map is distributed for free at KLIA2. I went to the front desk of my hostel and asked how to use a bus to get around the town. The receptionist advised against it because of traffic and said that it’s better to go about it on foot. What I actually said, “Oh I see,” and followed his advice anyway. 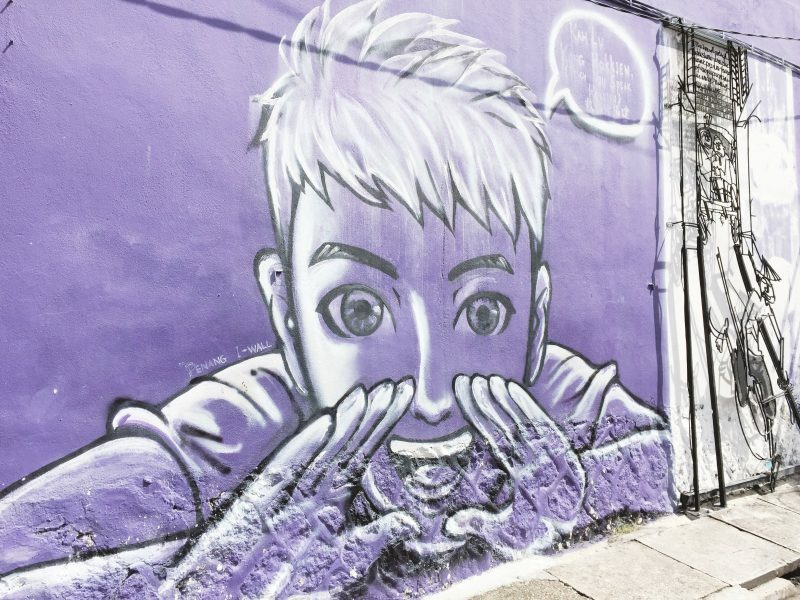 I made sure to eat breakfast at the hostel to lessen my expenses before I set off on my mission; to find the street art in George Town that people like to photograph and share on Instagram. Yes, I kinda hate doing touristy stuff, yes, I still do some of them anyway, including this. It was a hot day, I was alone, I couldn’t rely on Google, and I am a self-proclaimed direction impaired; good luck to me. 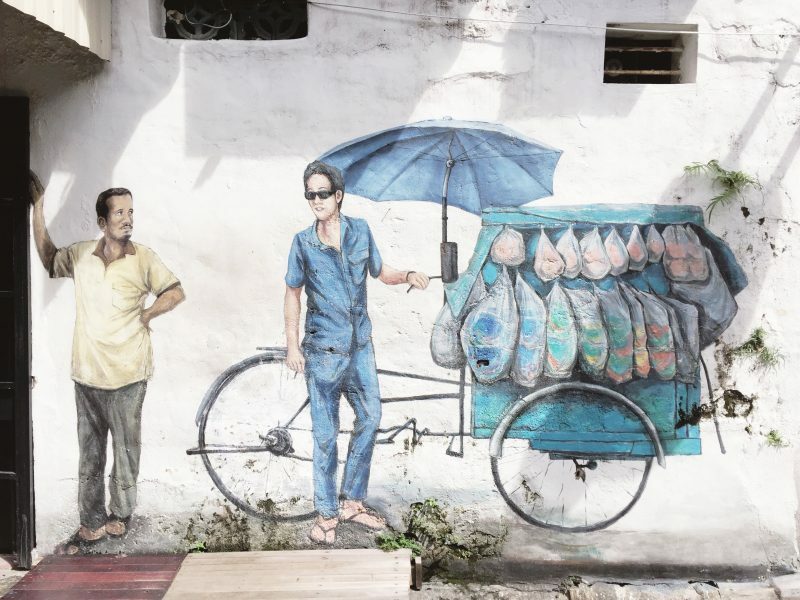 Once upon a time, George Town, the capital of Penang in Malaysia was a no-go zone. The very thing that made it popular to tourists—the old decrepit buildings and infrastructures—is the same reason people avoided this area in the past. It was not until 2008 that the town’s fate would change. For its unique architectural and cultural townscape, it’s been declared as a World UNESCO site. 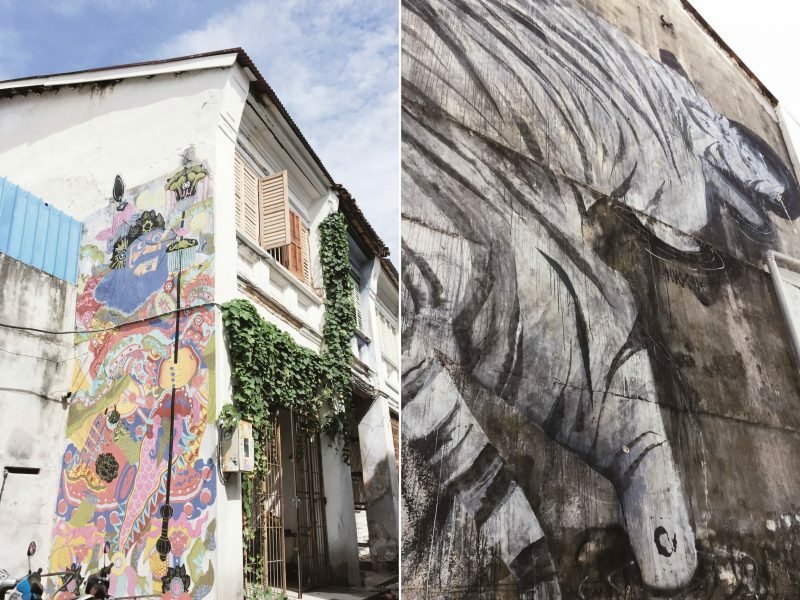 And because of this nifty title, George Town, the once no-go town has become one of the must-go-to towns in Penang. 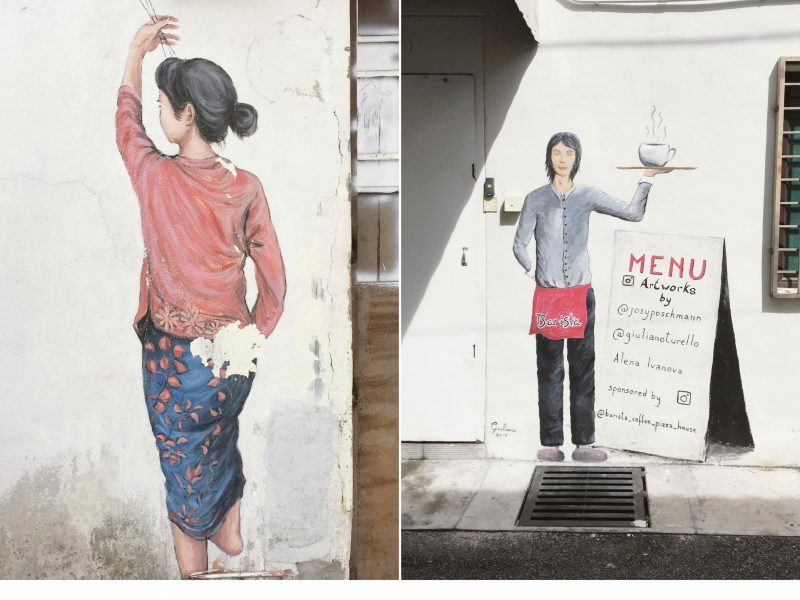 And the thing that catapulted George Town into the top of Places to Instagram list (yes, I invented the list), began in 2012 when a Lithuanian artist named, Ernest Zacharevic was commissioned to create a series of 6-wall paintings for the George Town Festival of Arts and Culture. 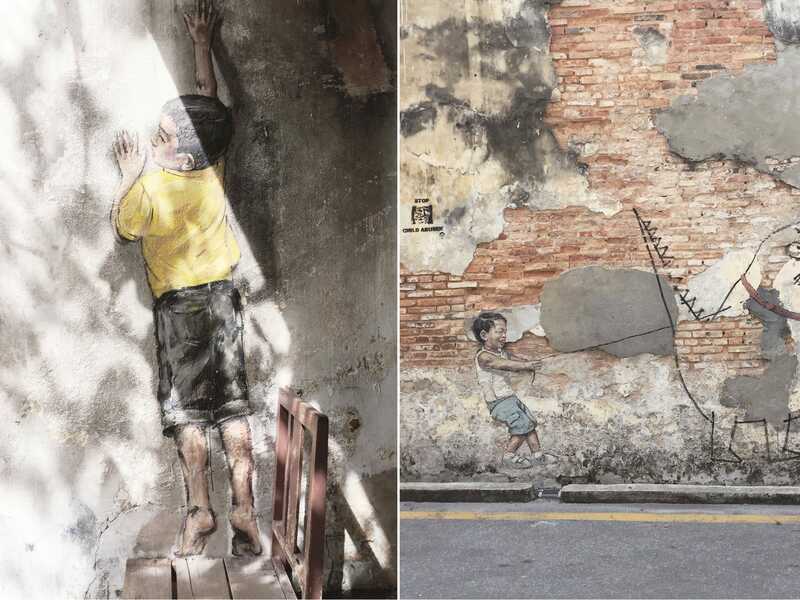 There are now over 60 art installations in George Town including paintings and steel-rod sculptures, but the most photographed are still those that were created by Zacharevic. First, let me show you the map that I used; the wear and tear should tell you how much I relied on it. The map, however, doesn’t show all of the streets (translation: not as reliable as Google Map) that many times, I found myself in the middle of the street questioning the meaning of my existence. A dramatic statement for “I got lost, more than I could count”. The good thing about being lost is that I was able to see more of George Town more than I intended. 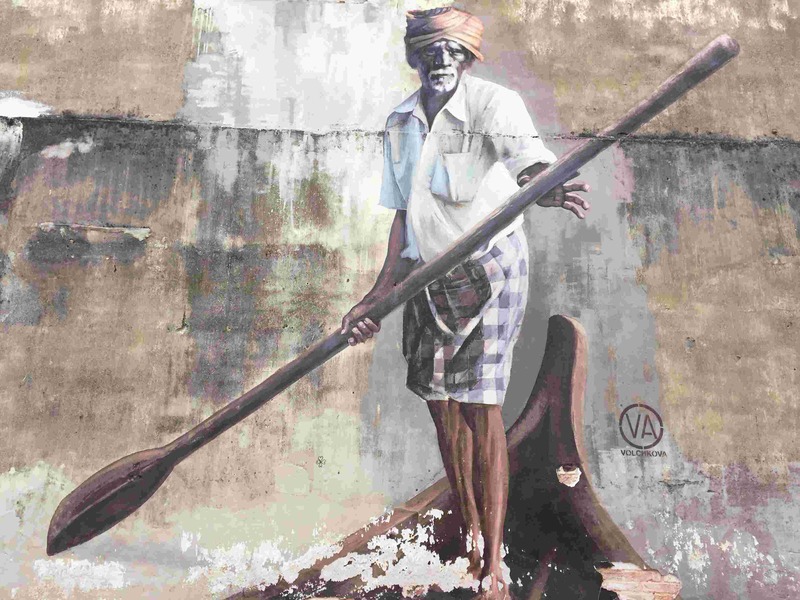 The first one that I spotted is The Indian Boatman, a huge painting at 75 Stewart Lane, by the Russian artist, Julia Volchkova. 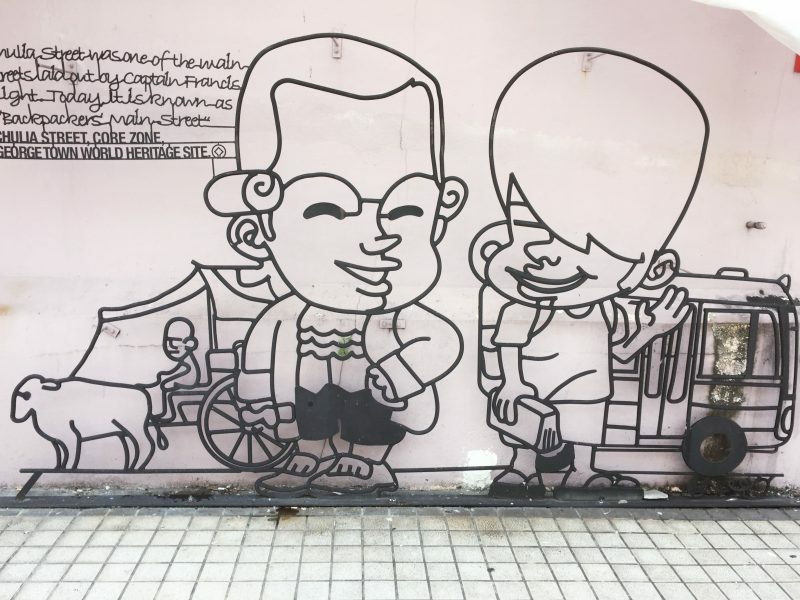 I saw a mother trying to convince her kid to pose by the Boy on Chair mural; the kid didn’t want to do it. So I waited as the mother, speaking in Chinese, her sweat trickling down her forehead, kept on calling on her child. After a few minutes of watching the kid not giving a flying f*ck, the mother finally acknowledged my presence and let me take a picture of the mural. 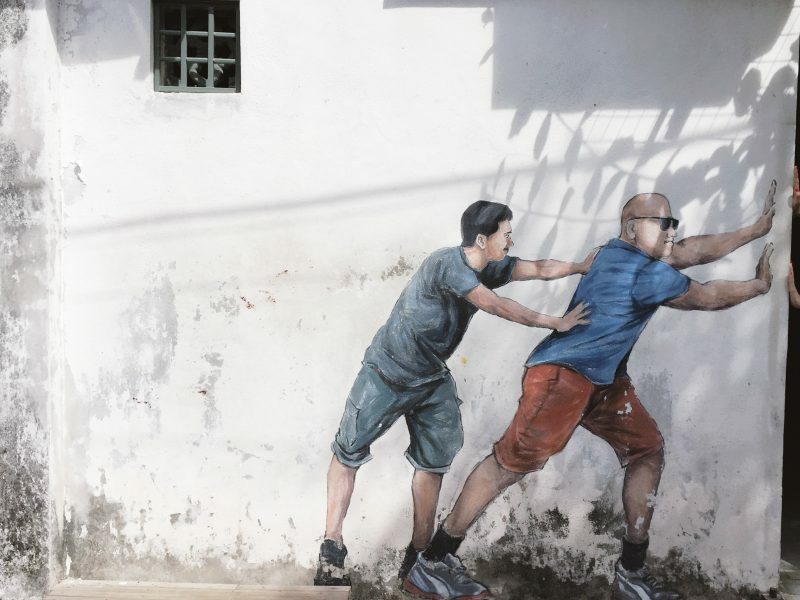 This art, by the way, is one of those that were painted by Zacharevic. Boy on Chair can be found on Cannon Street. The photo on the right is called, Boy with his pet dragon and you can find this beside the Old Motorcycle art. Had I not crossed the street and looked up, I would have missed it. 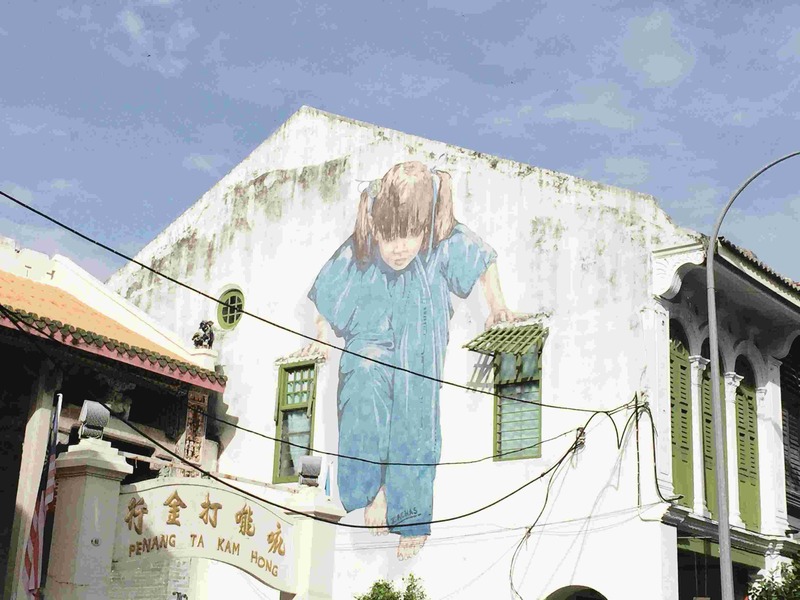 The Kungfu Girl mural, another work of Zacharevic, can be seen on the side of a building along Muntri Street. 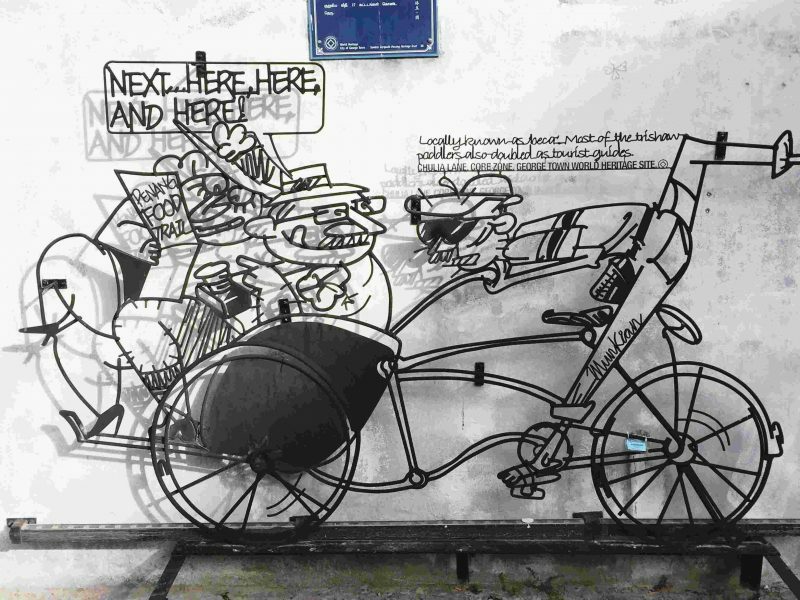 The most memorable street art for me is also one of the most famous, the Kids on Bicycle. When I reached the place, the sun was high and tourists gather across the street, all waiting for their turn to take a picture with the art. We have a term for this in Filipino, “paunahan”. As soon as somebody finishes taking a photo with the mural, people would race to take the spot. I have always been shy from asking strangers to take my photo in my travels so I bought a tripod just for this trip. Unfortunately, the remote was not working so I had to set the camera on timer. Now imagine my struggle; there I was, with no one else to rely on, using a tripod that I had to leave on the other side of the street. I had to do it quickly before the 10 seconds elapse. As soon as I clicked the timer, I ran toward the mural, posed, smiled, and just when the timer elapses, a man passed by ruining the shot. A group of Chinese tourists saw what happened and they too were shocked. One of them volunteered to click the camera for me, but when she did, a car passed by. It was followed by another vehicle, then another, that I stood there like a fool waiting for the street to clear. I was quite aware of the stares I’d been getting from the other tourists but I didn’t want to leave until I get a decent photo. Finally, the coast was clear and the kind tourist took my photo. Success! 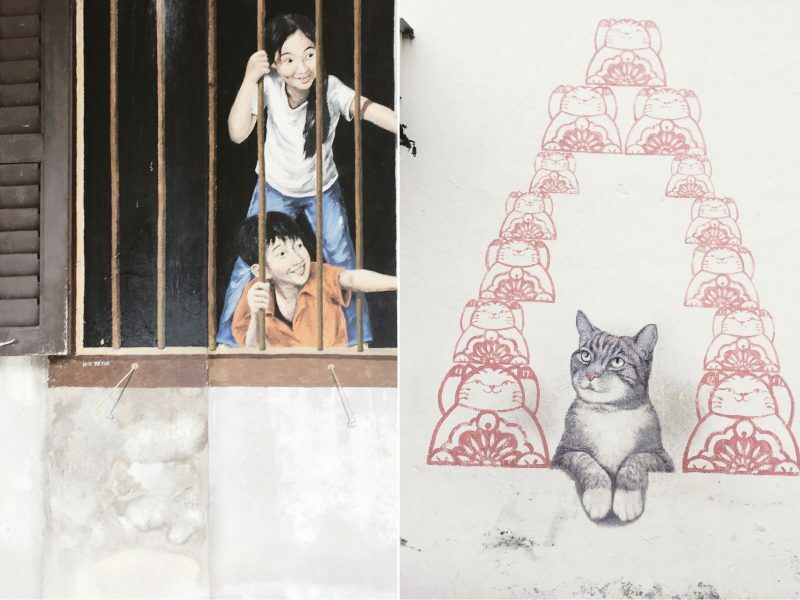 Now here are the other murals that I found in my day of street art exploration: Children from the window, Love me like your fortune cat, Old Motorcycle, as well as the murals not included on the map. 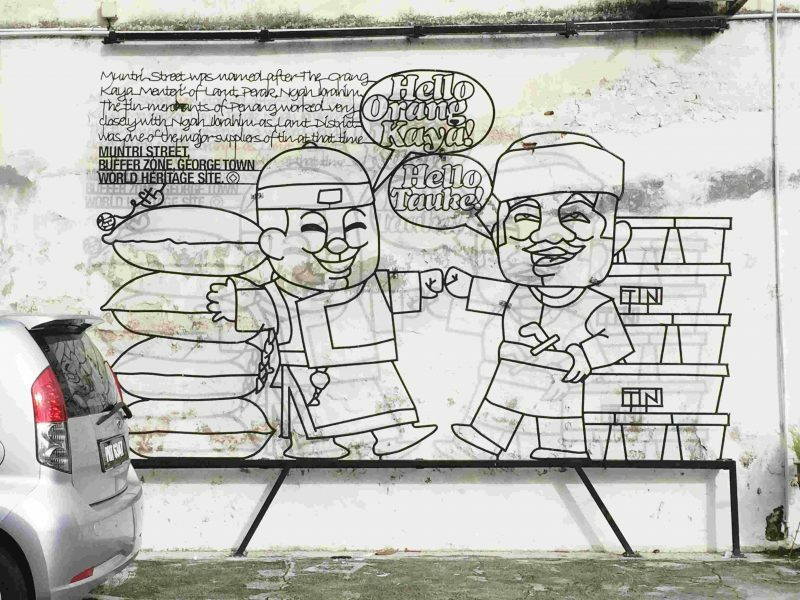 In 2009, Penang State Government launched a competition called, “Marking George Town – An Idea Competition for a UNESCO World Heritage Site”. This gave birth to the steel-rod sculptures that you can see in absolutely every corner of the town. 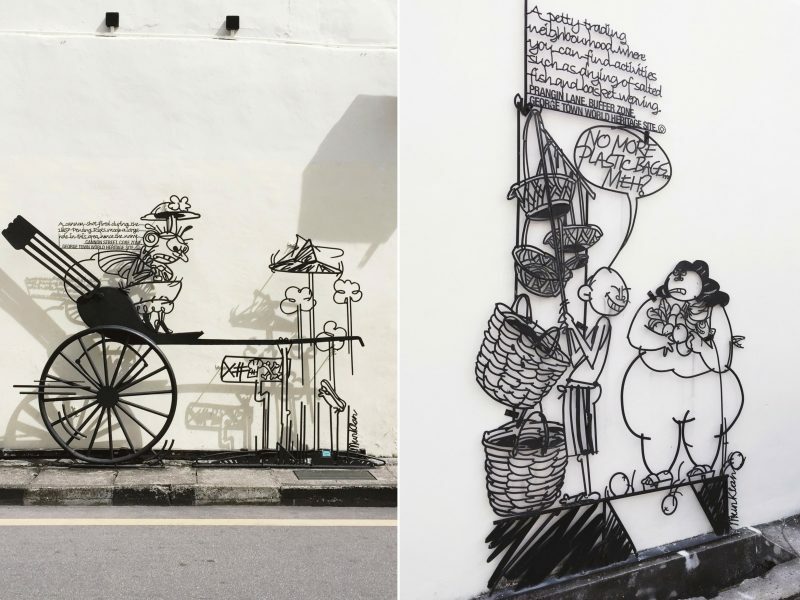 These sculptures retell the history of Penang using wit and humor. They are practically comic cartoons wrought in iron. By the time I finished my self-guided tour it was already 2 in the afternoon. I wish I could give you a guide on how to find them all but my method was disorganized. My approach is pretty much how I do life, with no effing idea. I just go ahead and walk, stop whenever I spot an art, snap a photo, then I move along. I didn’t take the time to pause and reflect on what the art is about; doing so in this weather is courting dehydration. Speaking of, be sure to carry water with you especially if you are planning to do this on foot like I did. You may also hire a trishaw driver to do this tour. I was still pretty much traumatized by the similar ride that I took in Vietnam so I passed. I’m not saying that there is a similar scam in Penang, but I didn’t want to risk it. The map proved to be useful, even when it’s not too detailed but it takes a ton of patience especially if like me, you’re used to Google Maps or Waze. 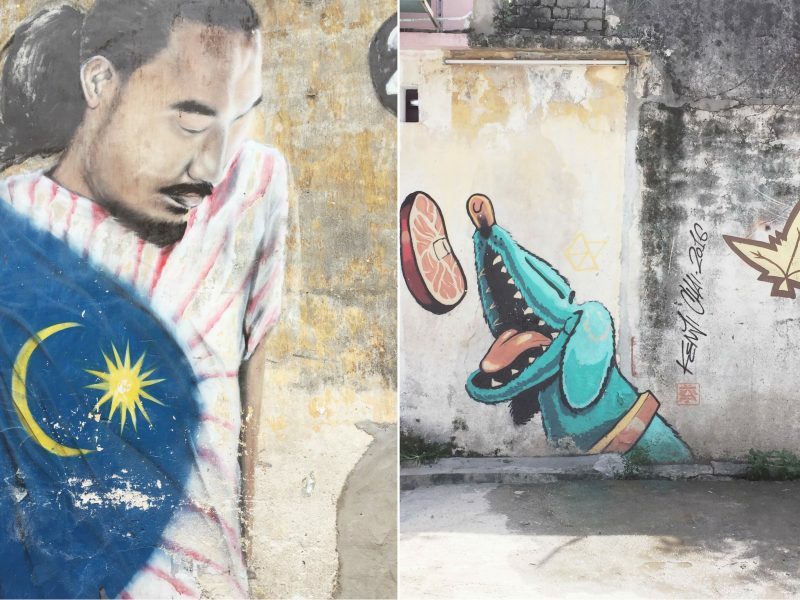 What about you, have you checked out the street art scene in Penang? 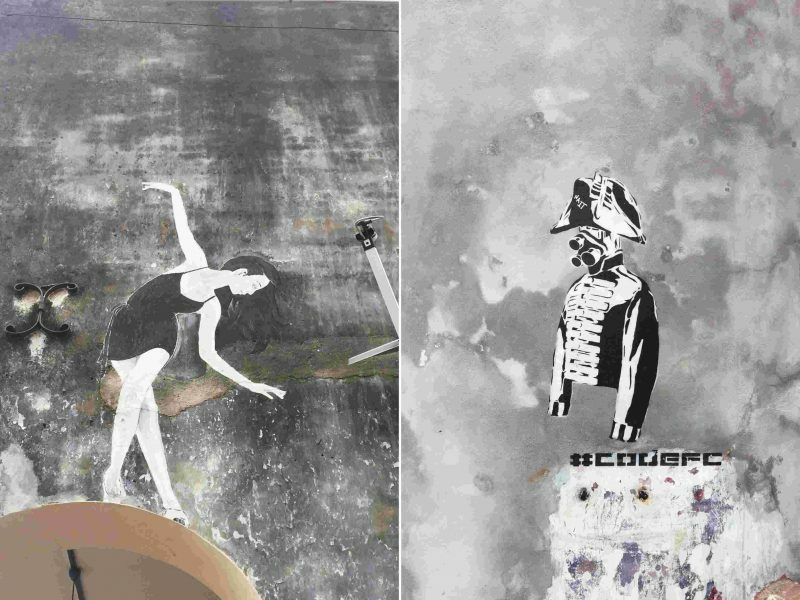 Which art piece is your favorite? These all look amazing! I love finding street art in places I visit. The line art artist with the shadows are just incredible. I have seen these art pieces all over the place, but I had no idea they were tied into a UNESCO site. It seems like you had an interesting day though, sometimes the touristy stuff can be great. Thanks for sharing! Never been to Penang, too! The murals are a must see! Hope to go in the future! I’m going to Penang soon and plan to explore by foot also. I’m a bit nervous because I’ll be solo as well, and I’m prone to getting lost. Also… am I the only one who gets confused looking at maps? Haha. 🙂 I already have a map saved on my phone and looking how I’ll get to places from my chosen hostel. It’s nice that you have a photo taken by a tourist! I think that’s one of my worries because when I travel solo I don’t often have pictures with me on it, except for the occasional selfie. I haven’t been to Penang. 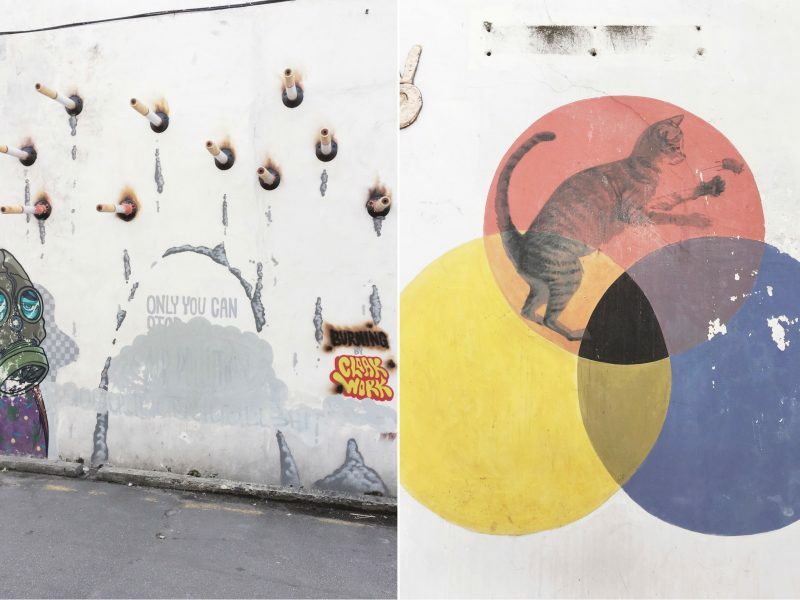 I only got to check the street art in Old Town Phuket so far. 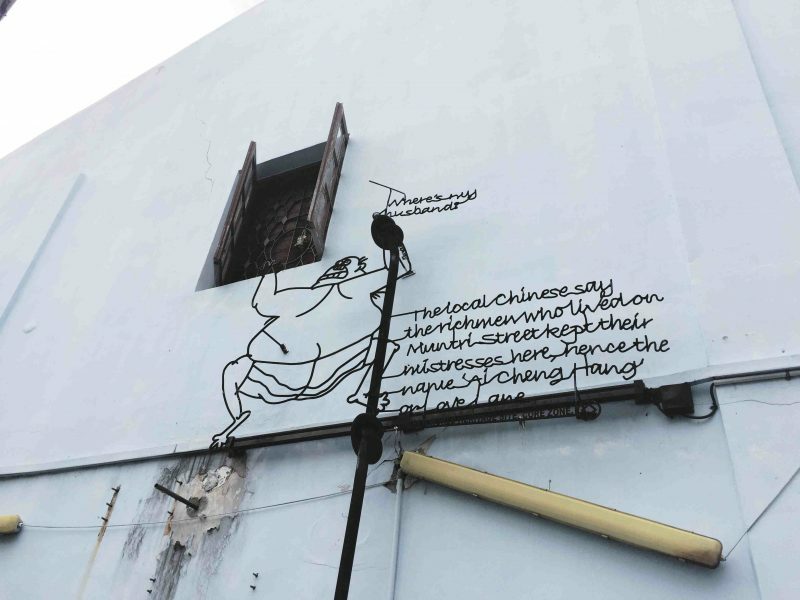 But the mural paintings there are scarce compared to those in George Town. 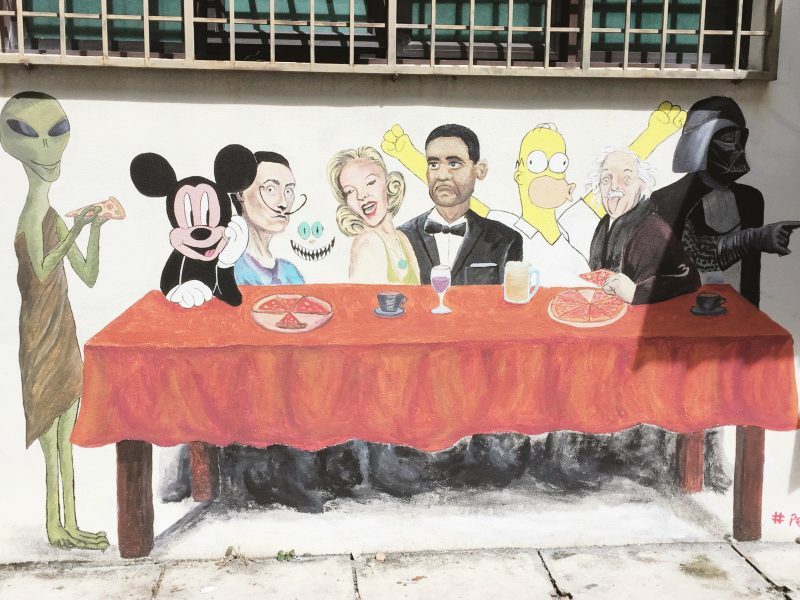 I like that people can pose with the murals in George Town. I mean not just them as backdrops but actually like you are a part of the painting itself. Reminds me of the the trick art museum.! What a super unique post. I love it!!! 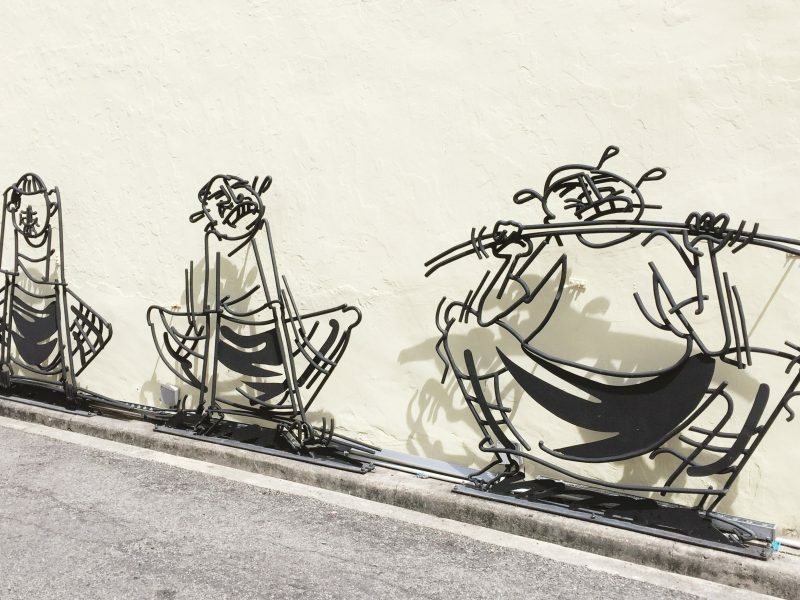 Street art is always fascinating! Its wonderful how a small thing like that can liven up a street both for the locals and the selfie hungry tourists. 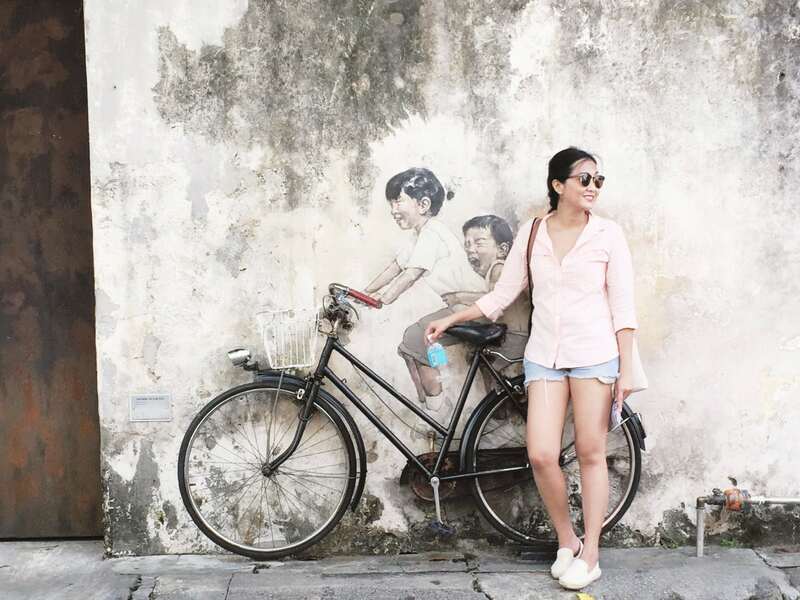 This post has just propelled georgetown to our list of must visit destinations! I loved my visit to Georgetown, but that was a long while ago. There was not much by way of street art then, Reading your post I feel like I should go back and see how much the island has changed. The street art is amazing! 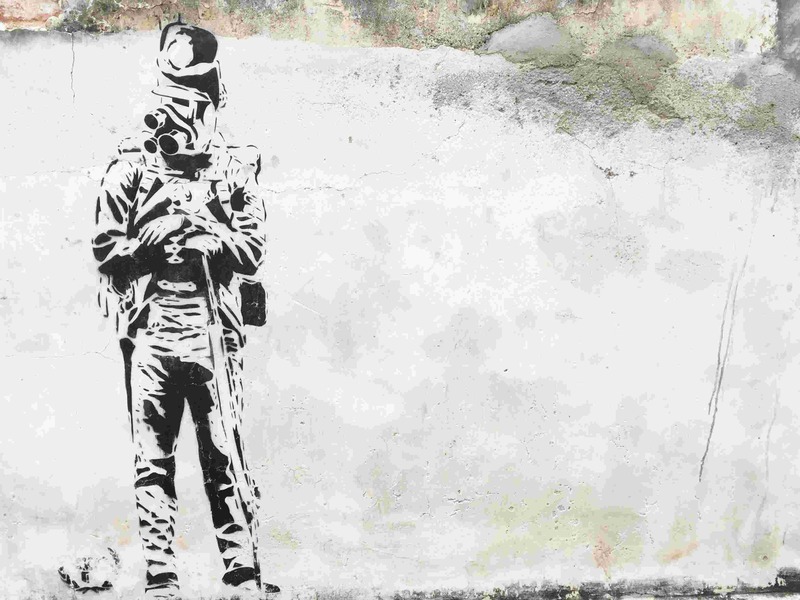 Street art always fascinates me as it is a window to the culture and times of a place. 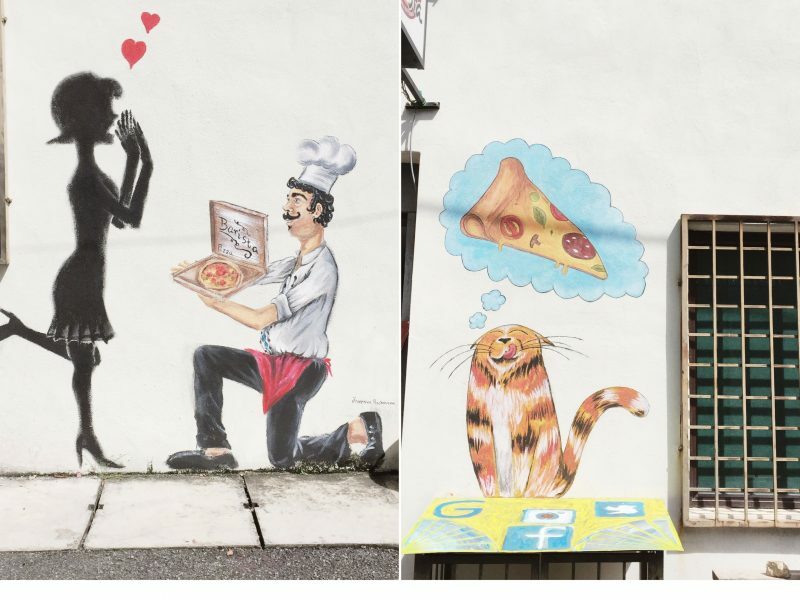 Loved all the murals that you have depicted in the post. The boy on the chair and the one of the kids on a bicycle are so cute and realistic. I must say your adventure with the maps was really worth it, traffic or no traffic! Your post is so interesting. But i loved the first line about buying Wifi hotspot. I just bought one and I’m still staring at the bill. Though I have managed to save my kidney hahaha. 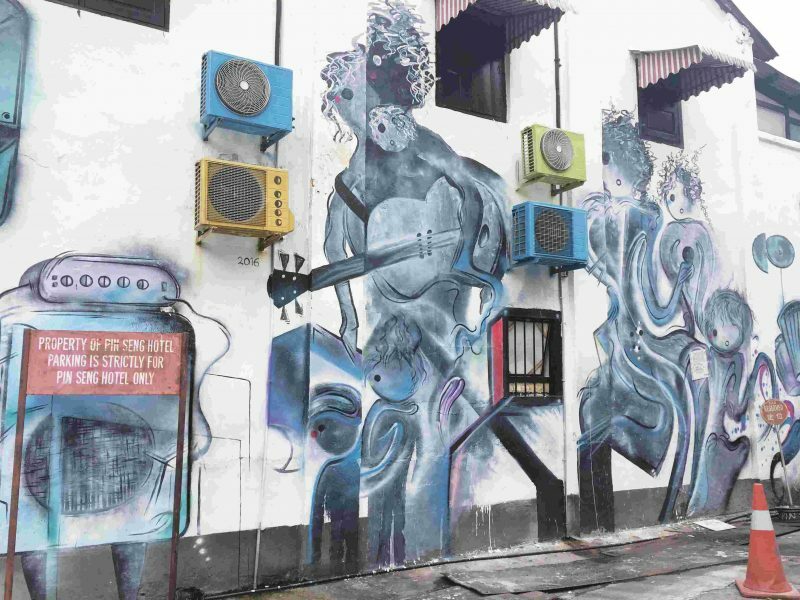 The street art in the George Town looks great but its quite interesting to note that it was a no-go zone earlier. I am sure such a beautiful place would have lost out on so many mentions and tourism receipts due to that status. However, thank you for the post and covering the entire place so well. 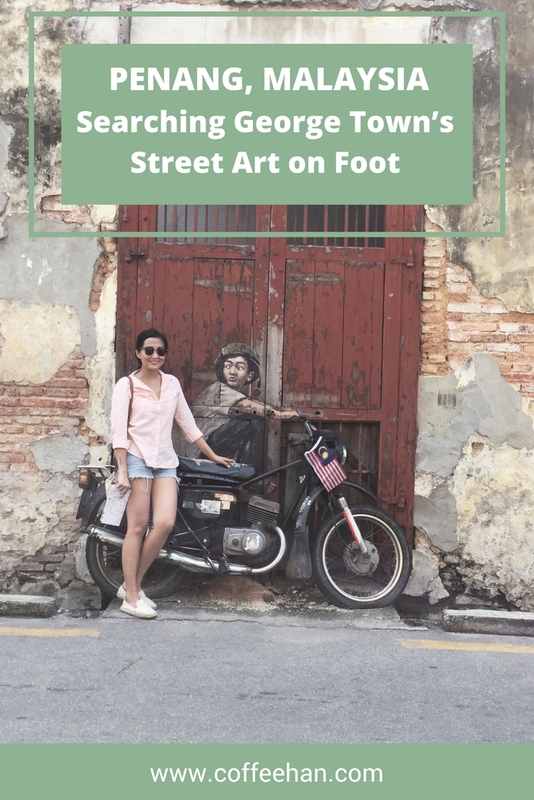 Yes these are most interesting sights of Penang and best covered by foot. I was not aware of the artist. Great load of info shared about these paintings which I had casually passed by. haha, yes, it is so difficult to take pictures with a timer when other people are around as well! I can relate to your struggle! 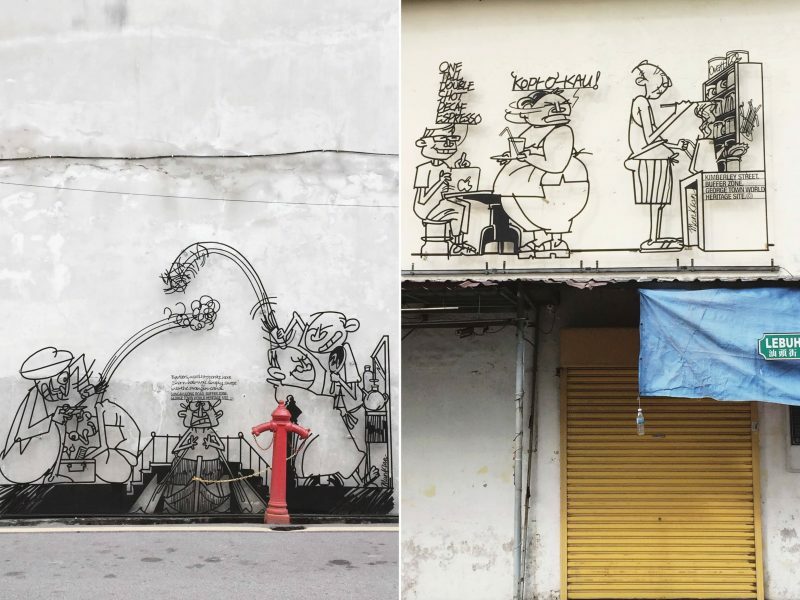 The street art in Malaysia is awesome though! 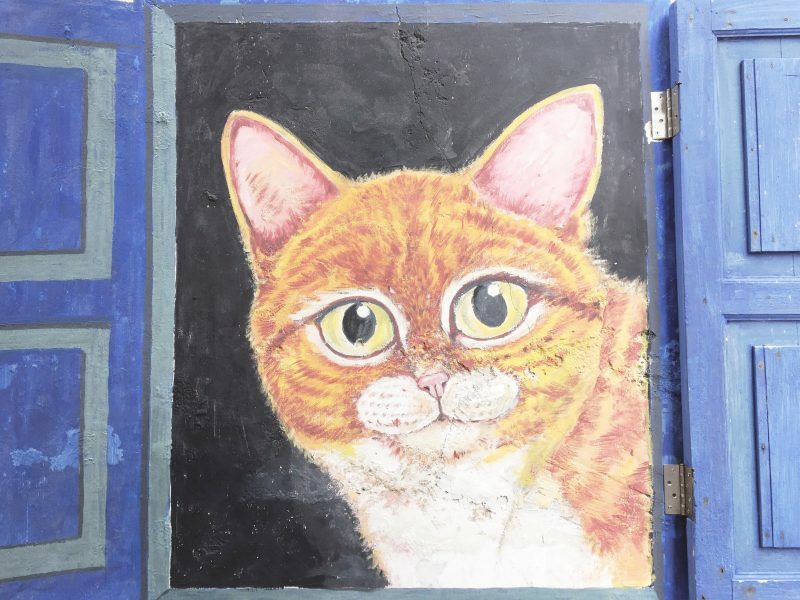 I stumbled upon many incredible paintings in Kuala Lumpur, too. 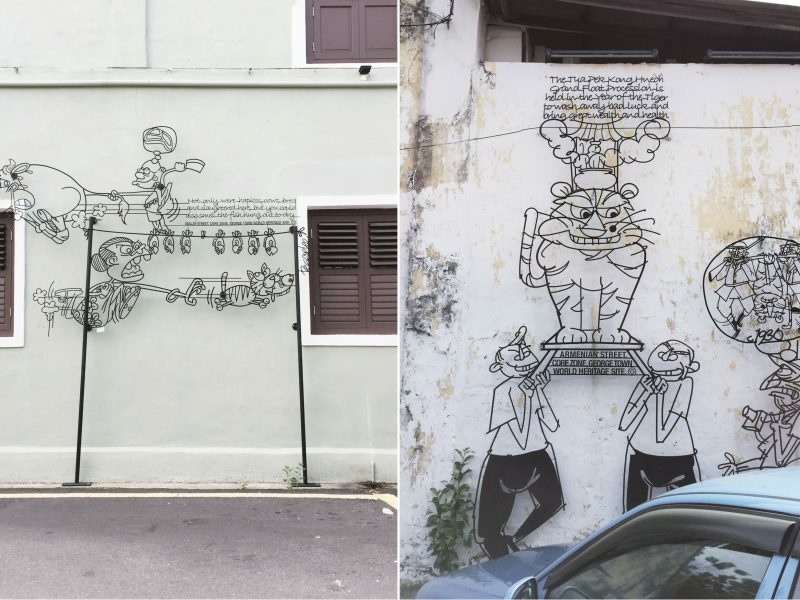 It was probably the same artist even since the style is very similar to the ones you saw in George Town. I love love Penang so much! The old buildings, the street art, the people and of course the food. Partied til 5 or 6 am almost everyday! Been there twice and will be there on my third the soonest! I always love Lovelane. For me, my best pub street street to hang out so far in SEA. Love the article Marge, i felt your frustration looking around the alleys, windows, walls to check the list of fave painstings hehe. But by far one of the best day i had as a backapacker, i enjoyed it! My gahd. The struggle to take the picture. Hahaha. I also went on a solo trip recently and I’m glad I was alone because I walked two to three kilometers to go from location to location. There wasn’t actually a plan, I just want to gauge how far can I go and how much should I rest because the place I went there for would require me to walk five hours non-stop. I really hope I could visit Penang this year. This is one of my iteneraries. I’m just wondering what type of paint they used on the murals and how many times they had to do retouches, if any. Do visit it! Thanks Laurie!